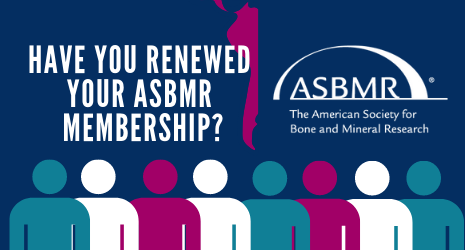 Renew your ASBMR Membership Before December 31! December 31, 2018 is the day that your ASBMR membership expires! Renewing your membership provides you with the greatest access to our field’s global community: connections, education, collaborations, and scientific excellence. Helping you to continue to advance the science of bone, mineral, and musculoskeletal research is the foundation of all that we do at ASBMR. Renewing your membership is simple – log in to your member profile on www.asbmr.org and review your invoice today. Contact ASBMR Offices at +1 202-367-1161 or asbmr@asbmr.org if you have any questions! Apply for the ASBMR Travel Grant to the NMRI Annual Workshop! The ASBMR is pleased to offer one travel grant in the amount of $1,500 to an early career investigator conducting bone, mineral, or musculoskeletal related research interested in attending the Network of Minority Health Research Investigators (NMRI) Annual Workshop, held April 24-26, 2019. The purpose of the workshop is to encourage communication between current and potential biomedical research investigators and technical personnel interested in minority health research, including individuals from traditionally under-served communities: African American, Hispanic American, American Indian, Alaskan Native, Native Hawaiian, and other Pacific Islanders. Click here for complete eligibility requirements and to submit your application! Application deadline is February 18, 2019. 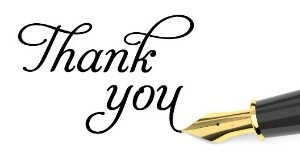 The JBMR® and JBMR® Plus editors are very grateful to the bone, mineral and musculoskeletal experts who volunteered their time to review nearly 1,000 manuscripts in 2018. Your efforts helped JBMR® achieve an impact factor increase to 6.314, and a 5-year impact factor increase to 6.766, and enabled continued successes for our Open Access title JBMR® Plus, which will start publishing monthly issues in 2019! A list of our 2018 reviewers is available here. The December issue is now online!